It would be "berry" awesome if you'd be our valentine! 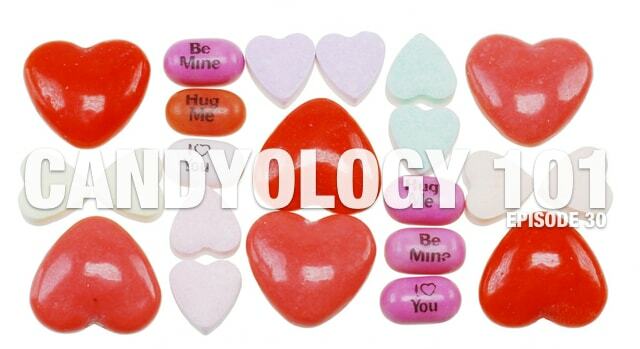 Due to scheduling conflicts, our sour episode was put on hold, so today's Candyology 101 episode is dedicated to sweets for sweethearts! Don't have a sweetheart? No problem! (That means you don't have to share your candy! ) We all deserve a little treat, and today Cybele and I look at the surprising strawberry trend that infiltrated our seasonal candy aisle. We also look at a few other surprising things, and then, as always, we have our Treat or Trick segment to let you know what products are headed your way. This time it's JAM packed with all kinds of goodies. (Get it? Jam? Strawberries?) Tune in and find out what we're munching on this holiday season and find out what's headed our way in the months to come!